We offer Jodhpur Pink Sandstone to our clients. 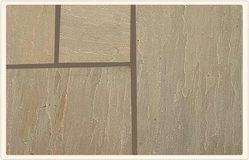 DPR PINK, also from Dholpur origin in Rajasthan is available in form of tiles, slabs, blocks in natural, sawn as well as polished surfaces. The other properties of Dholpur PINK include regular bedding, uniform grain size, suitable nature and durability. This sandstone when used in combination of Red sandstone gives a new look to the exterior of buildings. We offer a beautiful and appealing range of superior quality Bansi Pink Sandstone. The unique color combination of our Pink Bansi Sandstone catches the eyes of all the customers. Our Bansi Pink Sandstone is used in varied applications and renders high performance. Formats Tile, slabs, blocks, cut to size pavements, flags. Tile sizes: 30X30, 30X60, 60X60, 60X90, 20X40, 40X40, 28X28, 28X56, 56X56, 56X84 and as per your requirement. 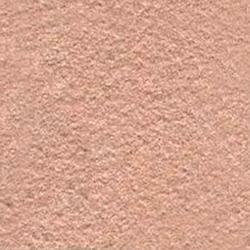 We offer high quality dholpur pink sandstones. Eager Minerals & Metals is a exporter of different shades of Sandstones including Pink Sandstone.Pink Sandstones are widely used in construction and industry. Offering a huge range of Dholpur Pink Sandstone as per the requirement. To offer the finest quality in our product range, we rely on the trusted vendors of the industry. Our offered Dholpur Pink Sandstone are available in various colors, sizes and dimensions to cater the requirement. These are available in market leading price. Dholpur Pink Sandstone also from Dholpur origin in Rajasthan is available in form of tiles, slabs, blocks in natural sawn as well as polished surfaces. The other properties of Dholpur pink include regular bedding uniform grain size suitable nature and durability. This sandstone when used in combination with Red / Beige sandstone gives a new look to the building. We offer high quality dholpur pink sandstone. Our Dholpur Pink Sandstone is of the finest quality. Dholpur Pink Sandstone contains quartz grains cemented with silica & calcite. Its natural pink color, cleft surface and strong physical and chemical composition makes it perfect.